London: Hodder & Stoughton, 2002. First edition, first prnt. 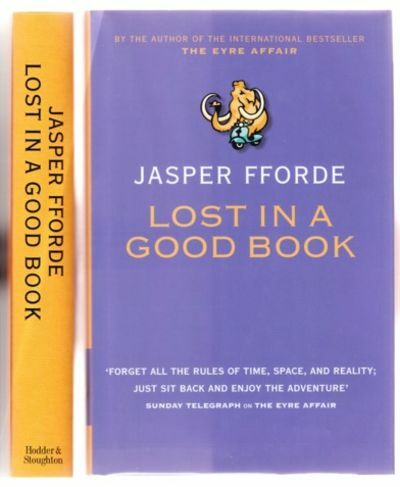 Signed by Fforde (as "Jasper" as is his custom) on the title page. Frontispiece by Maggie Roberts. Beginning toning on foreedge and less then typical for this title on text pages; otherwise, an unread copy in Fine condition in a Fine dustjacket with an archival cover. Fforde's second Thursday Next novel, a sequel to The Eyre Affair.. Signed by Author. First Edition. Hardcovers. 8vo - over 7¾" - 9¾" tall.